D-Link DCS-936L is an entry level wireless IP camera from D-Link. 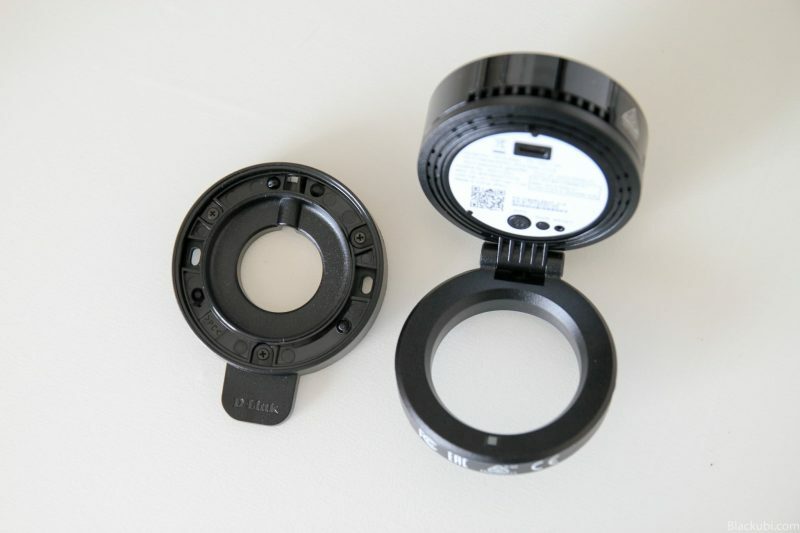 It is a small camera designed for indoor use. As a wireless IP camera, you do not need physical cabling to the camera apart from the power connection for it to work. Besides, the small size allow it to be installed anywhere. I decide to get one and see how good it is. 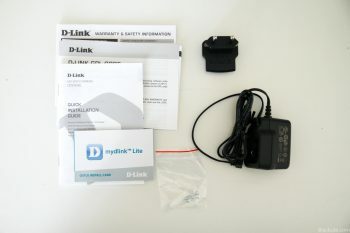 Here’s my D-Link DCS-936L review. The design of the camera is very simple. It doesn’t support pan tilt or zoom but it compensates the lack of those features with a very wide angle lens. You are able to wall mount the device with the provided screws. The base of the camera is actually a wall mount. Great design by D-Link here. The camera is powered by MicroUSB so you can use any existing USB power supply with the camera. There is a green LED in front of the camera which you can turn it off in the settings for a more discrete look. Setting up the device is simple. As the camera only come with wifi and no wired Ethernet connectivity, you are only able to set it up over wifi. To set up the camera, you can either use WPS push button or a direct connection to the camera. I use the WPS push button method as my router supports it and it is easier to use. I am able the set up the camera using my phone with the provided mydlink lite app without even needing a computer. That’s how simple it is. 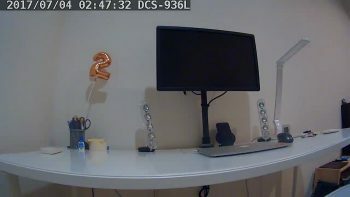 As the camera only supports a wireless connection, you will need a really good wireless signal to ensure the video stream is stable. You can check our my Unifi router recommendation page here. 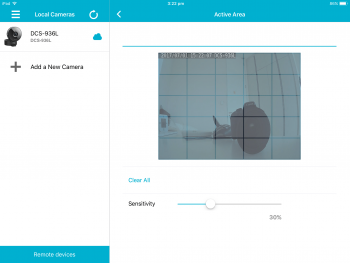 The camera supports D-Link mydlink Lite app which is available on both iOS and Android devices. 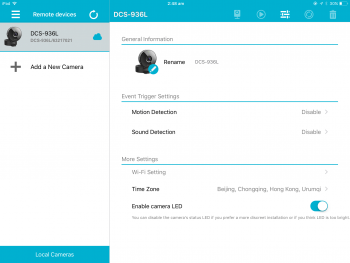 You will be able to use the app entirely to configure and access the camera remotely. Besides, the camera will be tied to your D-Link account and you can view it cross device once you are signed into the app. I find the app is rather simple and user friendly. Every features of the camera are accessible via the app. I am using the iPad version of the mydlink lite app over here, the app is available on mobile phones as well. You are able to configure motion sensing and voice sensing with the camera. With the feature engaged, it will notify you and send you a snapshot captured at the time of the event. The motion sensing feature is configured by selecting the grids in which you want it to notify you when it senses a motion in the grid. 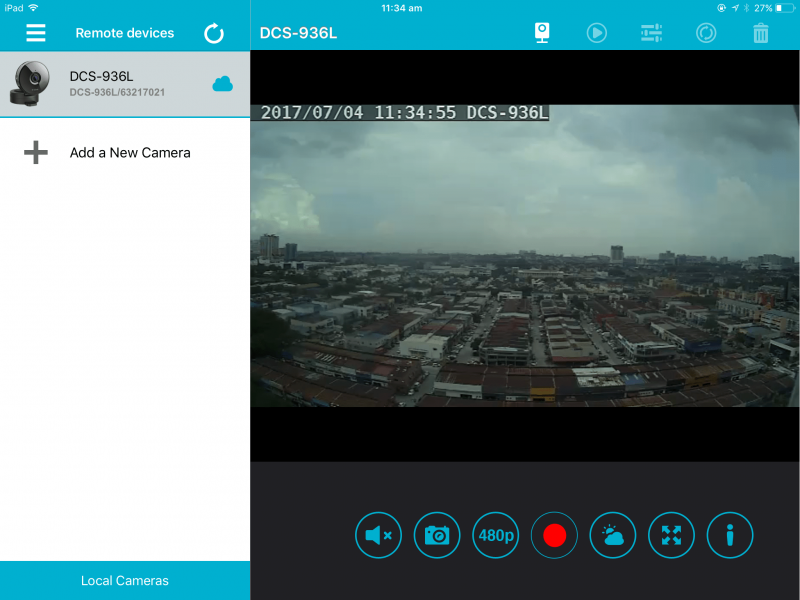 Besides, you are able to access your recorded footages remotely over mydlink lite app. Another feature worth mentioning is the camera comes with a microphone in which you can listen to the audio at the location you place the camera. The audio quality is one of the best among all other camera brands I have tested. You can’t do 2 way communication as it doesn’t come with a speaker. 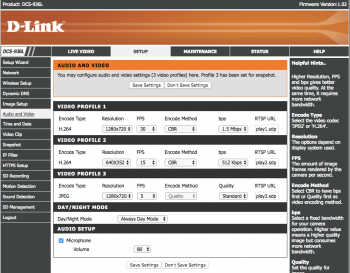 Of course, you can also use the web interface for more advanced configurations. However, I find the app is more than enough for all the configurations you need. Night time lights off. IR mode engaged. The camera on the DCS-936L is decent. Image is fine and it comes with a decent amount of details. The maximum resolution of the camera is 720p and you can record up to 720p as well. One great thing is it comes with a very wide lens, which is great. It allows you to have a really wide field of view without having to pan the camera around. In fact, it is so wide that it can cover my entire bedroom if I place it at the corner. As you can see from the sample above, even with the camera just right in front of my table, it is able to capture the entire length of the table. The camera comes with a night mode as well as the usual day time mode. Like all another cameras with a night mode, it uses a pair of infrared LED to light up the scene. This resulted in a black and white image with less detail. In my testing, although the sharpness is reduced when night mode is engaged, it is still clear enough that objects and faces are recognisable. This is more of an indoor camera so the illumination is sufficient with the dual infrared LEDs. 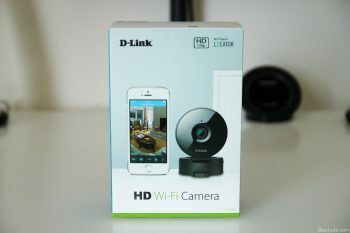 D-Link DCS-936L WiFi camera is currently retailing at close to RM300. 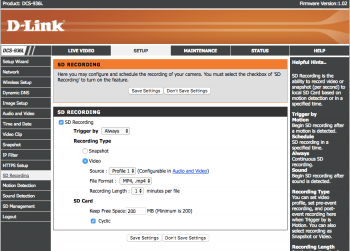 The features baked in is pretty standard and D-Link cloud is rather reliable that I can access my camera remotely without any issues. Image quality is great as well, the night mode is really handy at night when you keep the lights off. So what are the differences compare to something from China with a more generic brand. Well, for the extra money, you get a much more reliable software run by a reputable company. D-Link mydlink lite app is cross platform and well developed. You can view your camera anywhere remote reliably as long as you have internet connection. The included motion detection is really good as well.